Today I am very excited to introduce you to one of my coaching clients. Emmy nominated actor, award-winning playwright, and charming Michael O’Leary stepped into my studio to chat with me about his life, and how we worked together to help him discover his push moment and think differently. Join in and listen in to this special episode! Produced By: Ellen Stewart & Richard Torres I’d love to hear your push moments, your no’s or yes’s, or even your 10 minutes of tears! 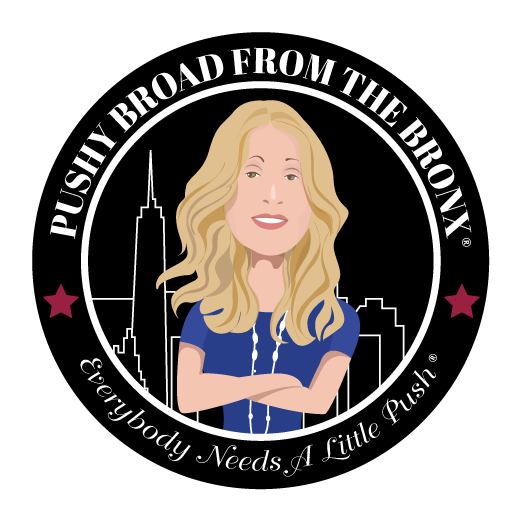 Send me an email at ellen@pushybroadfromthebronx.com. If I air your questions or comments on the podcast, don’t worry, I change names. Tune in every Monday for a new episode of the Pushy Broad From The Bronx. Talk to you soon!